Chat Tweaks is a client-side mod that provides various tweaks and features to the Minecraft chat, while staying close to the look and feel of the Vanilla chat. 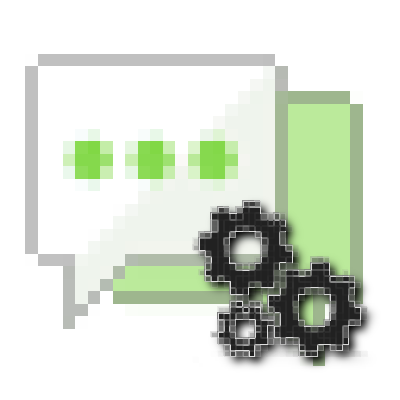 Chat Tweaks is not compatible with MineTogether since MineTogether adds its own chat replacement. You can safely remove MineTogether though if you don't care about CreeperHost ads. Its most notable features are Emoticons, Image Link preview, configurable Chat Tabs and Message Filters. It also provides an API for other mods to use and will act as the new base for my upcoming IRC & Twitch Integration mods. Simple Emote menu to go along with it, in case you can't remember your Twitch emote codes. Links in Minecraft pointing to an image will be previewed right there when clicked on. No need to open them in a browser! Ability to group messages logically using RegEx patterns. Ability to set a message prefix to quickly respond to whispers. Ability to set exclusive channels, which will cause messages not to appear on other tabs whose patterns fit as well. Ability to redirect messages to appear on the side bar or as a notification on the bottom of the screen, similar to what ChatFlow allowed you to do. By default, "You can only sleep at night" is redirected to a notification on the bottom and common command output is redirected to the side. Ability to simply completely hide messages. In case you hate Minecraft's "<Player> Message" style, you can easily change it to whatever you like using the sender and message variable. When another player mentions your name, the message will be highlighted with a red background. Ability to set up further highlighted words. Basically this is TabbyChat reinvented? It's more like TabbyChat, EiraMoticons, ChatFlow and Vanilla Minecraft having a baby together, and then someone put chocolate fondant all over it before decorating it with cute looking flowers. You have a beautiful way of describing it!